Delaware home improvement contractors at Montchanin Builders want to help you get started on your garage renovation! You may have heard of Montchanin Builders as a custom home building company in Wilmington, Delaware; but did you know we also offer full home improvement, remodeling, additions, and garage renovation services as well? Montchanin Builders specializes in building affordable home additions and garages that enhances the value of our clients’ homes. We simplify your life by listening to your heart’s desires and taking care of all the legwork for you – from obtaining permits and hiring reliable contractors, to researching the latest trends and finding affordable material suppliers. Our professional Delaware construction crews understand what you value most and will work hard to ensure your project stays on-budget and on-time. 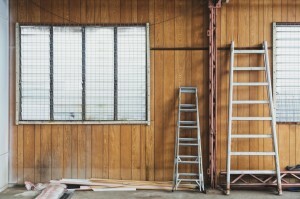 Remodeling Magazine reports that the average garage addition has a resale value of $34,598. Homeowners can expect to recoup 69.3% of the cost. 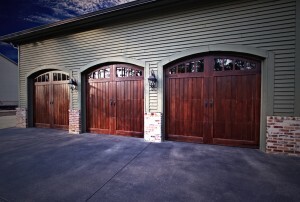 Just installing a new garage door can add $1,283 to the value of your home, which covers 75% of the purchase price. Adding home value is not the most popular reason to consider a garage build or remodel, however. Storage Space – There are all sorts of large items in need of storage: cars, motorcycles, bicycles, boats, jet skis, trailers, grills, tools, toys, gardening supplies, lawnmowers, snowblowers, chainsaws, hunting and fishing gear, tents, coolers, outdoor tables, party chairs, and more! We can customize your space to suit your needs. Added Utility – Not everyone parks cars in their garages. Many people have converted this space into laundry rooms, office space, kids’ play rooms, fitness gyms, bars and billiards rooms, or mother-in-law apartments. Since the exterior structure is already built, this is an inexpensive way to add much-needed utility to a home. Hobby Nook — Have you been dreaming of that “Man Cave,” Artist’s Studio, or Jam Space for years? It’s time to get started! The garage is a place where you can make all the noise and mess you want, without disturbing other members of the household. We can help design a private sanctuary with all the features you want. 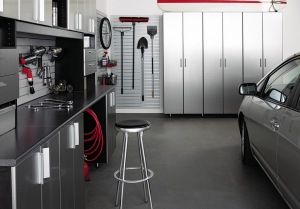 Improved Organization – Not every garage renovation project is massive. Sometimes all you need are a few built-in bins, storage racks, automotive lifts, wall organization systems and resilient cabinets that can be easily installed in a day. Say goodbye to clutter with Montchanin Builders’ smart storage solutions. Aesthetic Appeal – A dirty, dark garage can be depressing. This oft-overlooked part of the home is the first place we see after coming home from a long day’s work. Why should it be an ugly one? We specialize in transforming drab, uninspired spaces into unique environments that reflect our clients’ individual personalities. 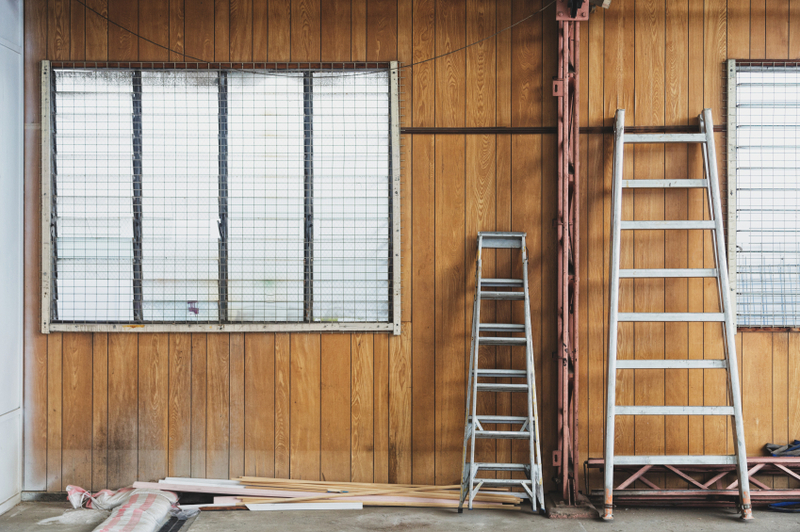 The garage renovation process begins when you call us for a free consultation. We’ll listen to your wishes, measure your space, and discuss different options for accomplishing the task. Ultimately, you will have a detailed design plan, price quote and estimated time frame to complete your project. Should you decide to work with us, our crew will obtain all necessary permits and materials, while you look through our design center for added ideas and ask our home building professionals any questions you may have. We want the process to be enjoyable for you, rather than overwhelming. We have been recognized by HGTV for our customer service and craftsmanship, so you are in good hands with us! 1. The Jam Space – Musicians can feel like they are playing live shows at every practice by remodeling their garage space into an epic concert hall. 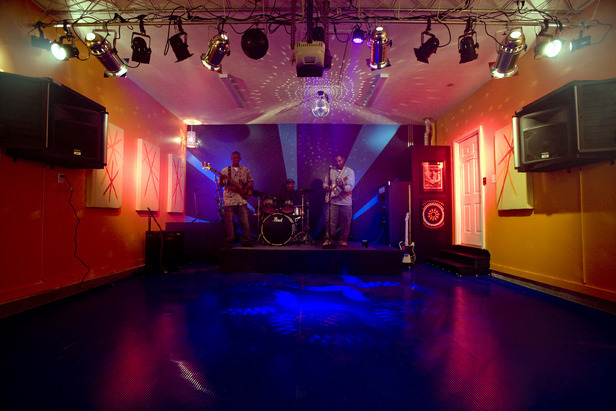 As the Build Direct Blog cleverly points out, “Garages are so synonymous with band practice space that we’ve even named a whole genre of rock and roll after the custom.” Lighting and acoustics are given special consideration with these projects. 2. Hidden Storage – Long gone are the days when the entire contents of your garage were readily visible. 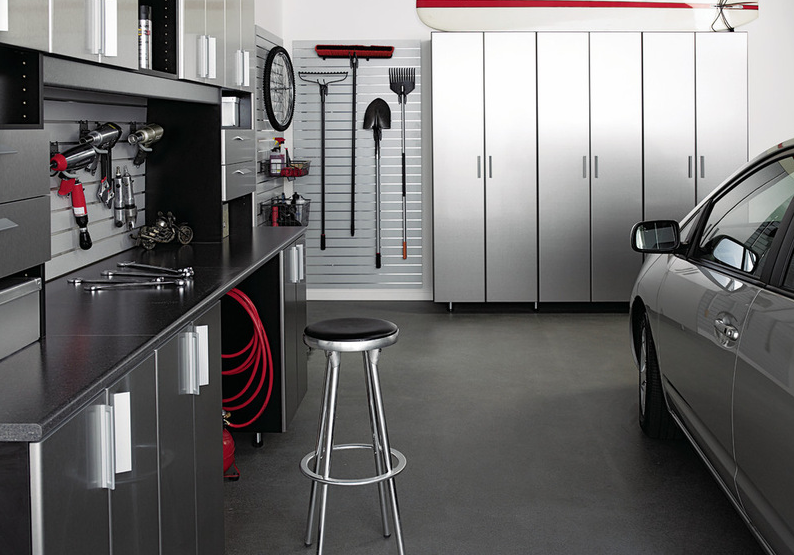 Modern garage designers focus on a sleek, monochromatic color scheme with streamlined storage tucked neatly inside drawers, rather than overflowing off cheap shelving. 3. Mother-In-Law Apartment – Traditionally called a “mother-in-law apartment” to accommodate the widowed or elderly, we have had many requests from clients to create a garage living space for boomerang kids who returned home from college or convert the space into a guest apartment for frequently-visiting out-of-towners. 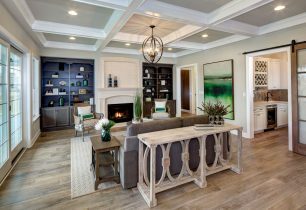 In fact, there’s no reason why a garage can’t be a retreat for homeowners to a cozy living space that has been custom-designed down to every detail with help from Montchanin Builders. 4. Space For Three Cars – Nearly a third of modern homes have space enough for three cars. Families are expanding. Husbands and wives drive separate vehicles to work. Teens get their own cars well before moving out. There are summer coupes and hardy winter sport utility vehicles. There are classic car collectors. 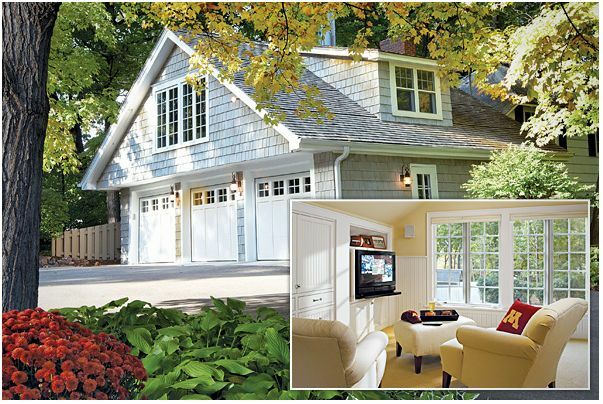 “The home building industry is definitely seeing a growing trend toward the three-car garage or larger,” said Matt Moroney, Executive Director of the Metropolitan Builders Association, located in Waukesha, Wisconsin. Extra storage space and the addition of an upper level “bonus room” is also driving the trend toward larger and more elaborate garages, he adds. If you only have a one or two-car garage, we can work with you to add the extra room. 5. 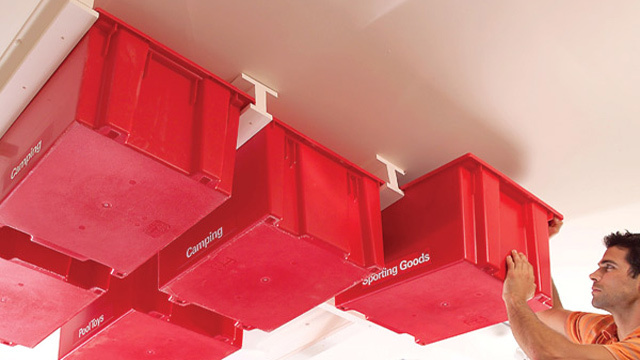 Overhead Storage Bins – The 2013 Vance Research Cabinets and Closets study found that overhead bins were one of the top garage upgrade requests. Bicycles, garden tools and lawn-care supplies were the items that created the most clutter, consumers said. Fortunately, this is one of the easiest and most affordable upgrades. We’ll make sure your stuff is stowed as safely as possible! Montchanin Builders is eager to improve your garage space, whether you have a specific design in mind or you are just starting to consider the possibilities. Learn more about Montchanin’s Wilmington, Delaware’s custom home building and home addition services by emailing wwright@montchaninbuilders.net or calling 302-472-7213.